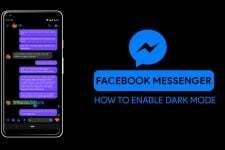 Want to enjoy dark mode on Youtube? 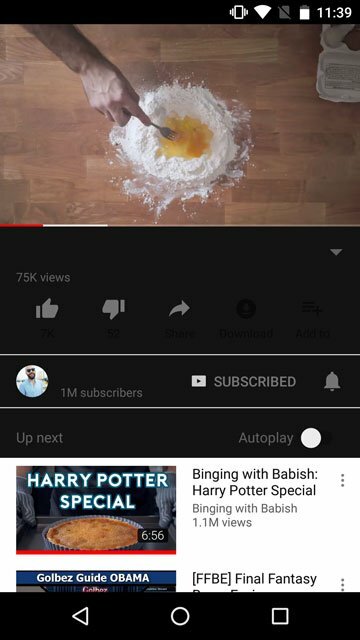 Here’s the modded YouTube black or dark mode APK for Android that not only lets you enjoy dark mode but also background playback without ads. 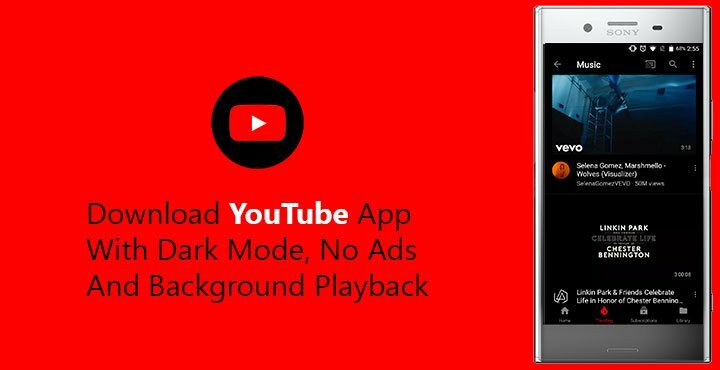 Download YouTube Dark Mode APK with No Ads & Background Playback feature. There’s no denying that YouTube is the largest video sharing platform and by a large margin. Even with all of the competition from licensed streaming services and Facebook, YouTube still brings in an audience of over a billion. Data suggests that most of this audience is using the service through smartphones and tablets. 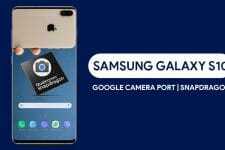 Since these devices are ideal for watching the short YouTube videos while on a commute or in bed at night. And that makes the YouTube app ever so important. We’ve all watched YouTube in the night at some point, and been annoyed by the contrast between the video and the bright white app background. Surprisingly, YouTube did get a dark mode but for the web instead. 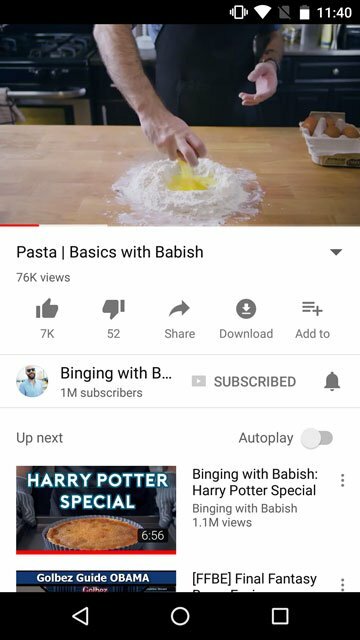 If you’re watching YouTube on a smartphone, you’re still stuck with an app with white background. That could soon change though. 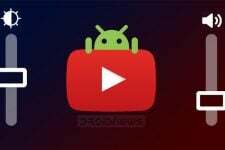 According to Android Police, YouTube might soon be bringing a Dark mode to its Android app. The said dark mode is currently labeled Dark Watch on YouTube v12.45 but you can not just activate it from the settings yet. The feature seems half-baked at best right now which is probably why Google chose to disable it. As seen in the screenshot above, some items are not all that dark themed. Also, some text and icons are absolutely invisible on a dark background. The visible text too is not that visible. It doesn’t seem like this Dark Watch will be coming officially to the YouTube app pretty soon. Luckily, if you’re willing to ditch the official app you can enjoy a dark YouTube app right now. Moonlightdrive has modded the original YouTube APK to give it a black background and no-advertisement experience. Thanks to him for the YouTube dark mode APK with no ads! 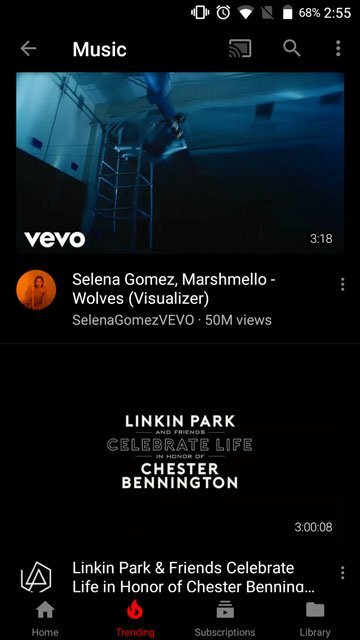 If you watch YouTube through the Android app a lot and you tend to watch videos when it’s later and in darker rooms, then the dark colored UI will definitely be useful and easier on your eyes. As an added bonus, the app also blocks any YouTube ads and allows Background playback. Sounds too good to be true, doesn’t it? As a general rule of thumb, when something sounds too good to be true, it usually is. So of course, this one comes with an issue of its own. The issue is that the modded YouTube version here is 12.34.55 while the latest official YouTube app on 12.45.54. It is not really that big of a deal but it is something you should be aware of. Also, since this is a mod, not obviously available on the Play Store, tough luck about regular updates. 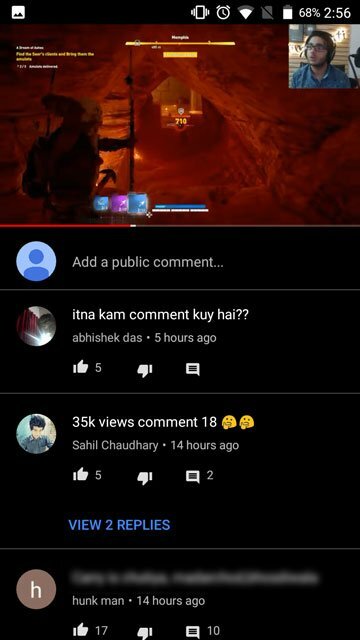 First of all, you will need to somehow uninstall the YouTube app. If YouTube is installed as a system app on your device, you can uninstall it using ADB. Once you get rid of the official app, enable Unknown sources in Settings > Security. Depending on your device, the location for the Unknown sources setting could be a bit different. For instance, on Huawei devices, this is hidden under Settings > Security & privacy > Additional settings. Luckily for you, there’s a search function on the main page of the Settings app. Now download both the APK files linked in the Download section above. Install the YouTube APK and then install the microG APK. You can do this by tapping the download notification once the download is complete, and then tap the downloaded APK. Or, you can use a file explorer to find the downloaded APK files (usually in the Downloads folder) and tap on the APK file you want to install. You’ll notice the YouTube app icon now has a black background plate. Launch the app and enjoy the dark UI. 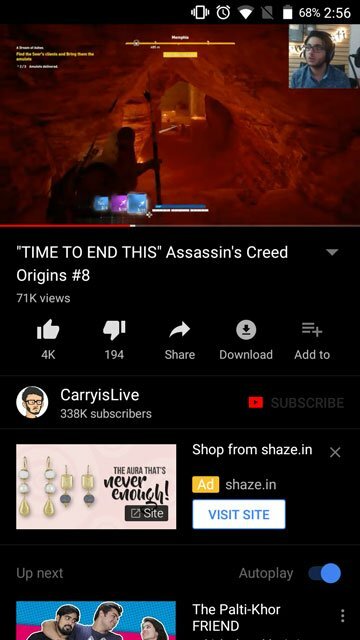 You can now enjoy dark or black mode on YouTube with ads.